When it comes to website personalization, designers have a lot of opinions. Is the research and hassle of designing a personalized interface worth the reward? For big companies such as Amazon and Netflix, personalization has been a game-changer. But what about for your website? Can you use personalization to a great benefit as well? Here, we look at the pros and cons of personalization in your website design. Website personalization is an extension of personalized marketing, which includes a strategy where a company or brand serves individual content or recommendations for each user. Personalized experiences are built using a combination of data collection and analysis, automation, and even algorithms. The main goal of a personalized website design is that each user feels like the content is made exactly for them. It can increase conversions – which is great for e-commerce – but can be a major undertaking to design and implement. There are also some website types that just don’t lend themselves to the data collection and analysis that goes into a fully-personalized experience. Some of the best personalizations happen without the user ever thinking about it. The biggest reason to design a website using personalization is that every user gets an experience that is custom-made for them. In a world with so many options, this kind of experience might be the thing that can differentiate your website and hook a user for the long term. Personal experiences include using a customer’s name, making recommendations, suggesting new products or services or even allowing a user to dictate the way a website looks, such as changing a background image or font size. Most fully personalized websites require a login to unlock this level of customization. But some personalization can come with a user to your website using referral information or cookies. The problem with personalized experiences is when they go wrong. Call a user by the wrong name or offer a suggestion that offends their sensibilities and you might permanently lose a user or customer. Working with online data and algorithms can be a pretty tricky business. Users love the connection to you and excellent customer service that often comes with a website design that’s their own. 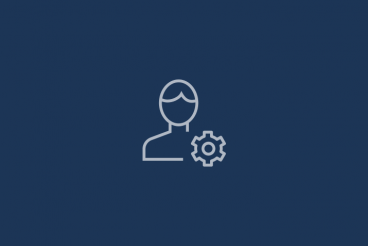 Personalization can actually help a user feel like they know you, your website and your brand even better than they do. Building a customized website experience is expensive. There’s no doubt about it. In a nutshell, you have to have a full-time concierge for website users to maintain the level of engagement they are likely to expect. The team at BCG found that “brands that create personalized experiences by integrating advanced digital technologies and proprietary data for customers are seeing revenue increase by 6 percent to 10 percent.” That’s a significant increase in revenue. …personalization will push a revenue shift of some $800 billion to the 15 percent of companies that get it right. There’s a dark side to knowing so much about users as well. Users don’t necessarily like that you’ve learned about them. Many users can find it creepy that a website knows certain information and can worry about what brands or companies are doing with “personal” profiles and data. The best thing you can do is be transparent about how you collect, store and use user information. Make sure that your website is secure using SSL and HTTPS so that users feel better about giving you their information. A personalized website experience creates consistency across devices. Think about your favorite reading app. You can start reading something on your desktop, pick up where you left off on your phone and even pick up again from a tablet. The look and feel of the content are the same across devices and the experience is consistent in design and content. This creates a distinct appeal for users that don’t want to be distracted by having to learn the same thing over and over again. Creating personalized website experiences is time-consuming for you, the website owner. Just think of how much research goes into the concept of personalization before you even sketch out the first wireframe. It can be pretty intense. And the work isn’t done once the website launches. Keeping up with user wants and preferences is a full-time effort. Maintaining a set of working personalizations also requires revisions, constant updates and plenty of data storage and management. You’re going to devote plenty of working hours to this website function. For many website owners, the ideal balance of personalization is more of a manual-hybrid model. With a good email or referral network (using social media or paid placements), you can send users to a semi-personalized page that gives them desired content. This landing page is a gateway to other content based on user preferences. You can test different types of landing pages, designs, and content with these users at a fraction of the expense of a fully-personalized design. And while there’s not a fully-individual experience, this method can still help drive conversions, create loyalty and establish a core user that will return to your website. If you plan to go the fully-personalized route, make sure to plan it well and devote a team to perform ongoing maintenance and testing so that experiences remain fresh and engaging for users. Designing for the Web: Are There Colors You Should Avoid?